USB Host Shield adalah digunakan untuk membaca alatan yang menggunakan USB HID. 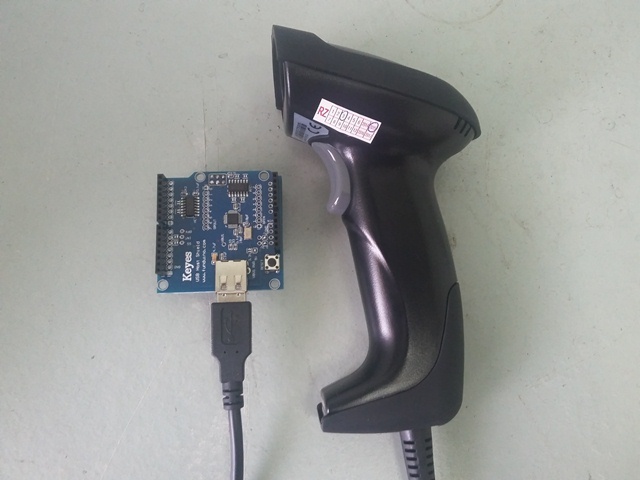 Contoh ini menggunakan USB Barcode Scanner. Selain itu, terdapat juga RS232 Barcode Scanner. Berikut adalah demo USB Host Shield dan USB Barcode Scanner. I used this code and the program is error at HID_PROTOCOL_KEYBOARD was not declared in this scope. Then I add “#include SPI.h and #define HID_PROTOCOL_KEYBOARD 1 ” to program. When I run it, it only show “Barcode ready” and when I scan barcode , nothing is shown. He doesn’t know and wont help you. I have the code for that and you can contact me at aimanmazlan_ece@gmail.com if you want. Programmer is Shahrulnizam Mat Rejab? Even this code is copy pasted. You only added line 40 and line 49. Don’t take credits for things that are not yours. Library already exist in the internet. Library is not mine and not edited. No, I did not talk about the library. I was talking about the main sketch. You did not properly credits the original author of the code. These are the original programmers.